Vietjet Air has a 40 per cent market share of Vietnam’s domestic market. VietJet Aviation Joint Stock Co signed an order for 100 Boeing 737 Max 200 jets plane units, making it one of the fastest-growing low-cost carriers in Southeast Asia. The aviation company bought Max 200 planes valued at $11.3 billion in list prices after the deal was signed by US president Barack Obama during his visit to Hanoi Monday. The deal, represents a big success for Boeing as VietJet Air only began operating its European rival Airbus’ A320 airplanes in December 2011, when the low-cost carrier started its operations. The delivery of Boeing planes, meanwhile, is expected to run for four years, from 2019 up to 2023, and is said to help the company expand its fleet to more than 200 aircraft, VietJet Air explained. “Our investment in a fleet of [Max 200s] will accommodate our strategy of growing VietJet’s coming international route network including long haul flights,” said VietJet Air president and chief executive Nguyen Thi Phuong Thao in a statement. The airline, in addition, signed a $3.04 billion deal for engines made by Pratt & Whitney, a unit of United Technologies, for the 63 Airbus planes out of the 99 it already ordered and 7 hired three years ago. 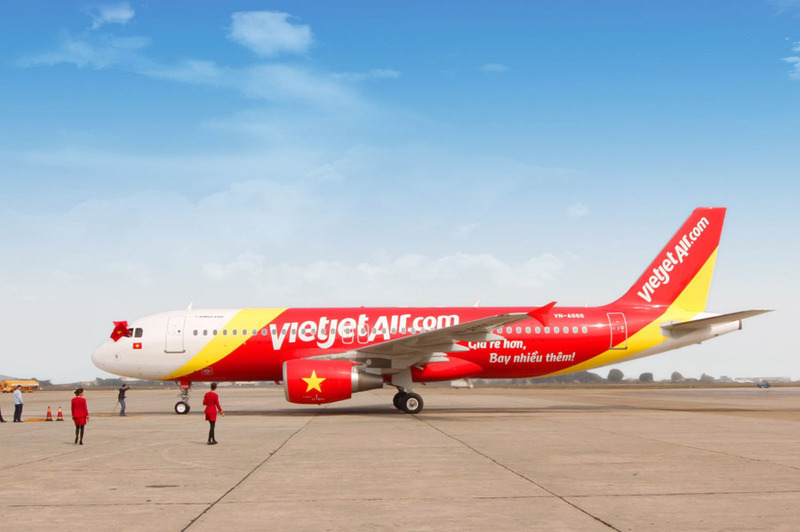 VietJet is expected to outdo the nations flag carrier, Vietnam Airlines, which currently has 89 operating aircraft, as the country’s biggest domestic aircraft carrier, according to a January report by CAPA Centre for Aviation. Vietnam, said International Air Transport Association, is also expected to rank among the world’s top fastest-growing aviation markets in the next 20 years. The aviation company, which has a 40 per cent share of Vietnam’s domestic market, is also expecting to double its revenue this year, from 10.9 trillion dong ($488 million) in 2015 and to increase passenger capacity up to 15 million passengers after carrying 9.3 million people last year. Meanwhile, VietJet Air, Vietnam’s only private airline, currently has 36 Airbus planes in service. In addition, the airline operates more than 250 flights a day with 50 routes in Vietnam and across the region to neighboring countries such as Thailand, Singapore, South Korea, Taiwan, China, Myanmar, and Malaysia. The Max 200 variant is based on a 737 Max 8, but it features a reconfigured exit row arrangement that allows it to accommodate up to 200 passengers in a single-class arrangement. All Boeing 737 Max aircraft are powered by CFM International Leap-1B engines.